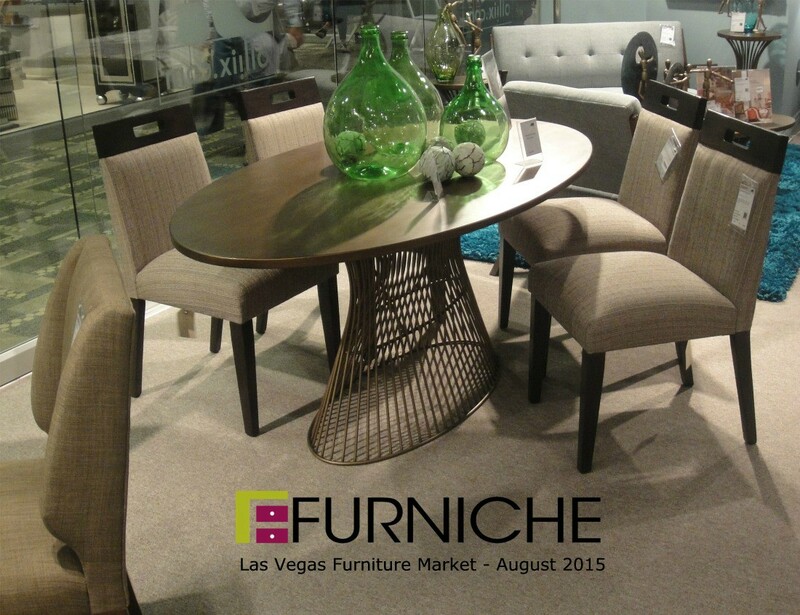 When the temperatures start to soar, we know that the Summer Las Vegas Home Furnishings Market is near. 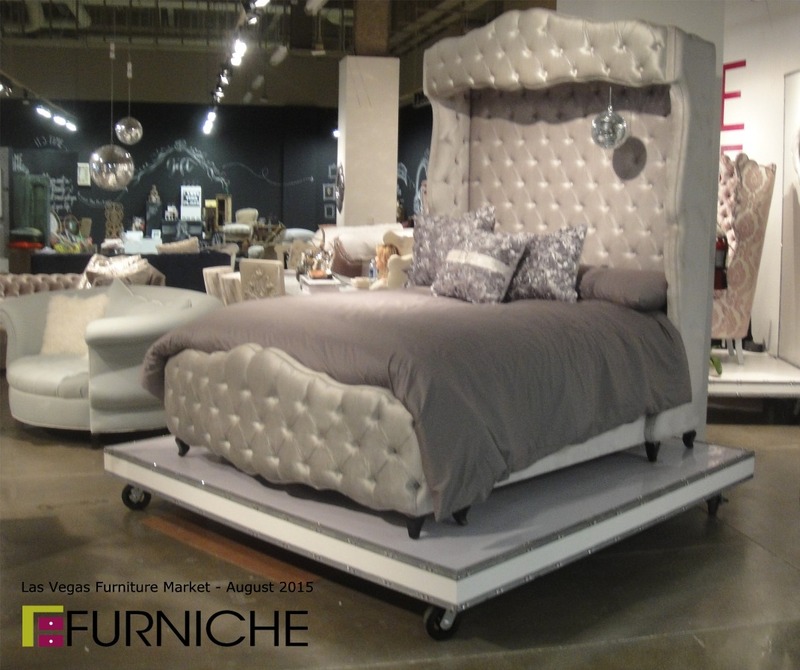 Of all the Home Furnishings Markets we attend, this is one of our favorites in terms of shopping ease. 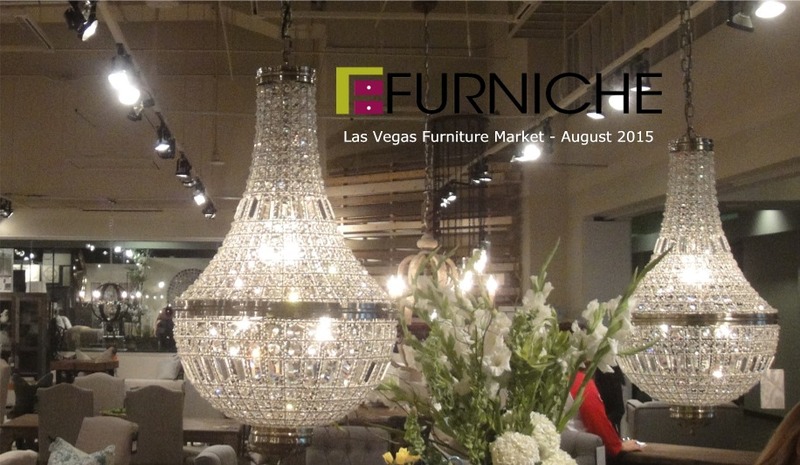 The Las Vegas Furniture Market does a great job of providing logistics an of course the city of Las Vegas offers great hotels and restaurants. 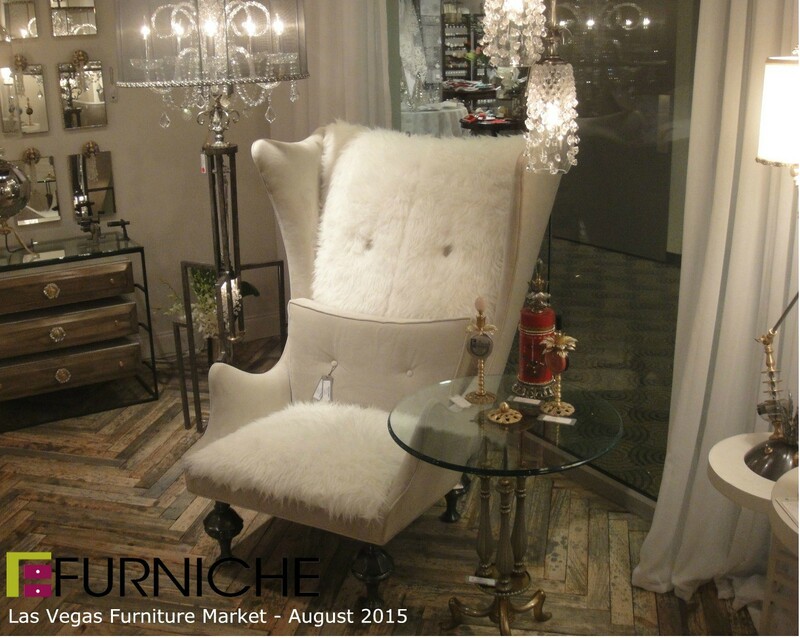 Furniche.com will be providing photos and feedback from this market to benefit our visitors. 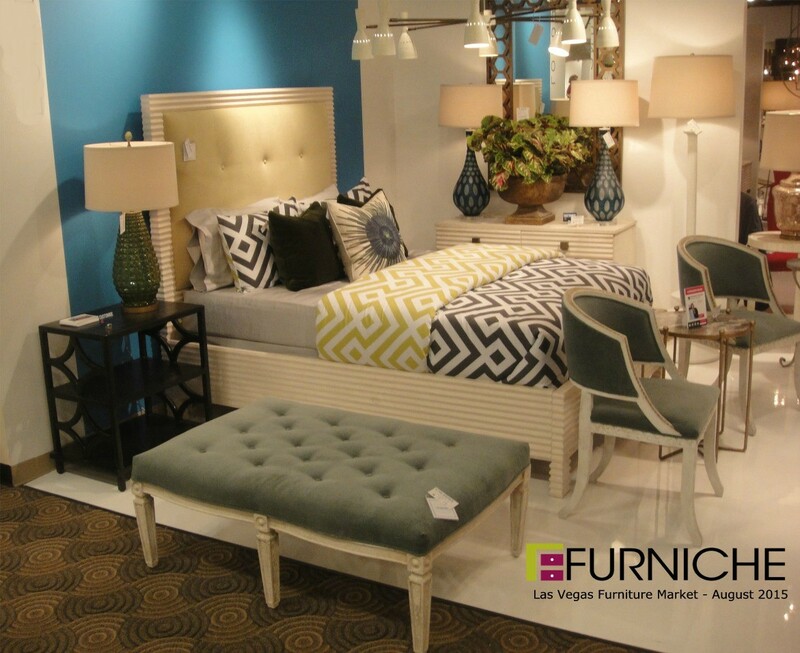 See what we have found at the January Market in Las Vegas and the April Market in High Point, North Carolina. 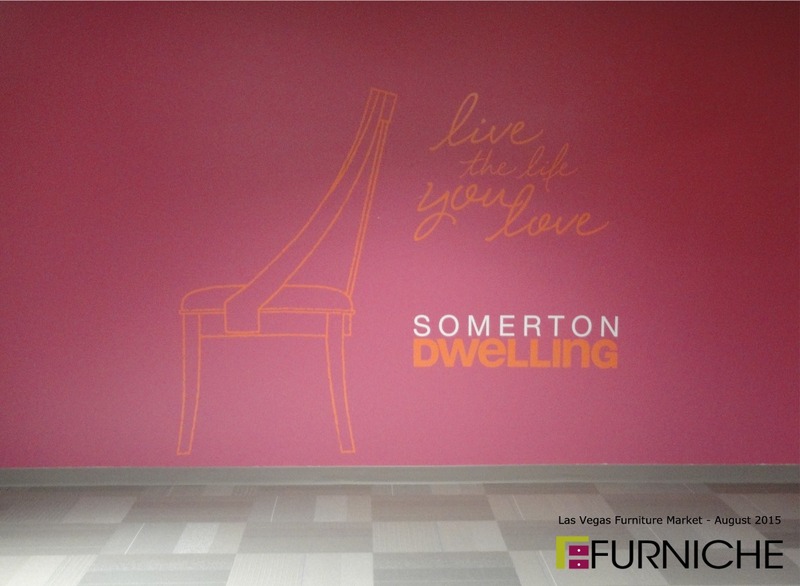 Here are some our finds from Las Vegas! 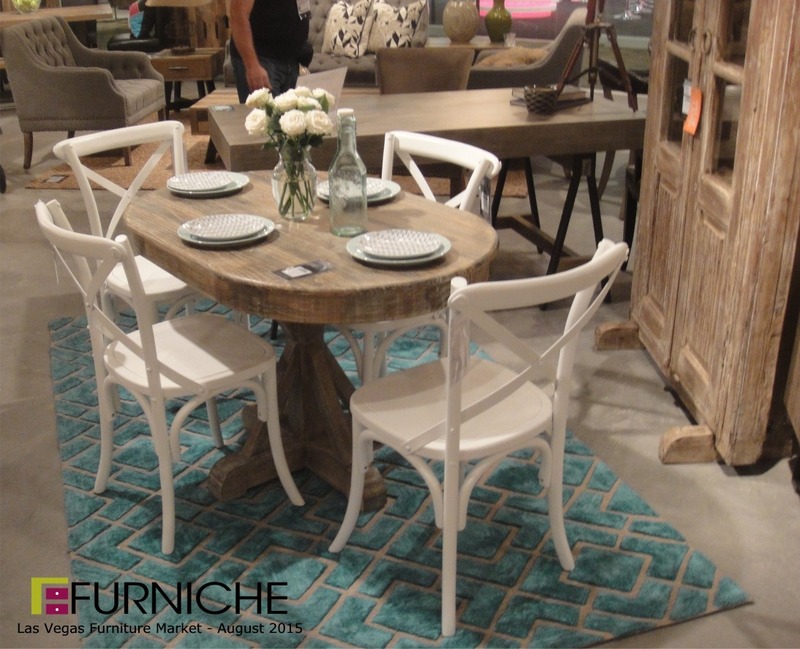 White being paired with a washed finish was showing up in many places at Market. 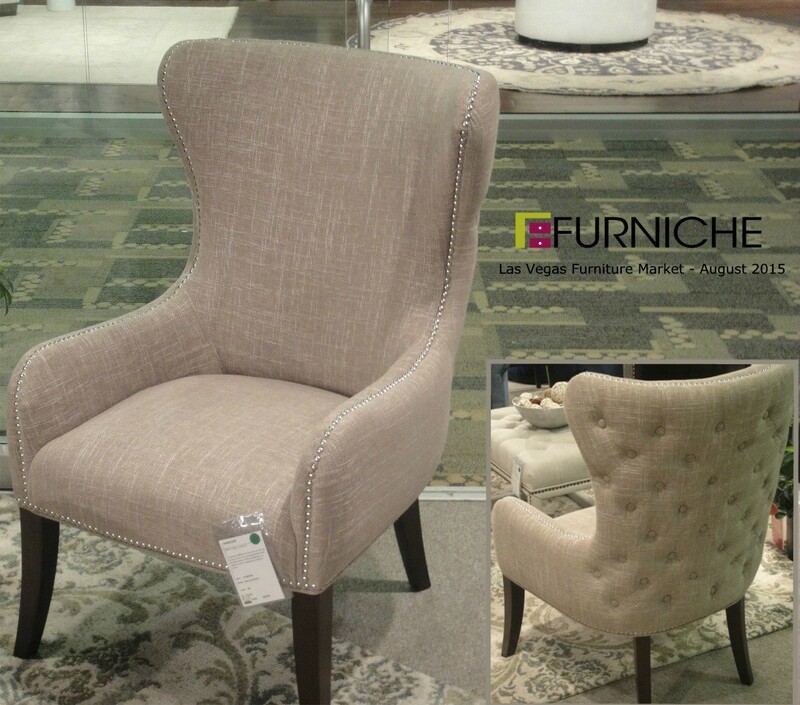 I have a weakness for button tufting and nail head trim. This chair from JLA incorporated both. 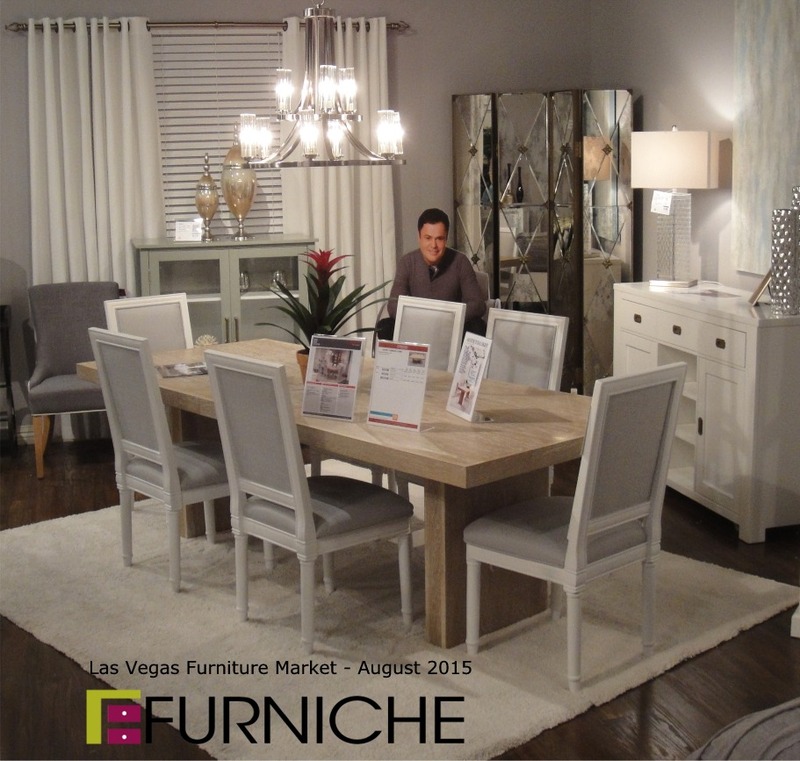 This dining set was from the new Donny Osmond collection at Coaster Furniture. Another example of white paired with a washed finish. At first it did not appeal to me but I am warming up to it. 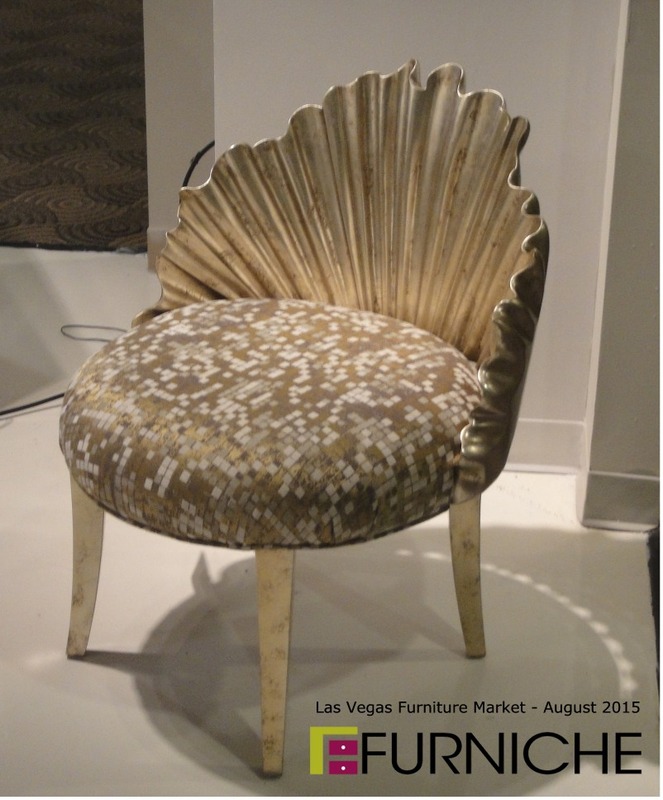 This shell chair was nothing short of stunning. The back is carved wood with real gold leaf treatment. 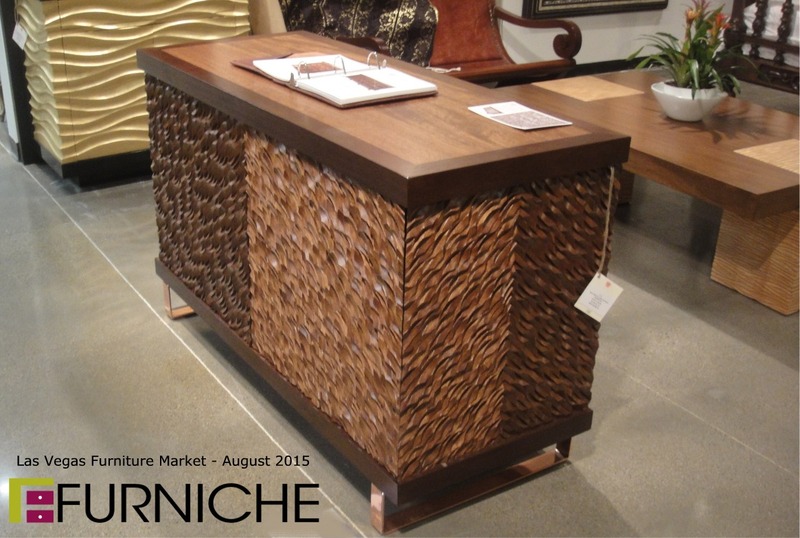 Talk about a statement piece in your living room or entry way. Interesting way to use straight lines and curves in a room setting. The base on this dining room table is quite unique. The cut out handles on the chairs just make sense. 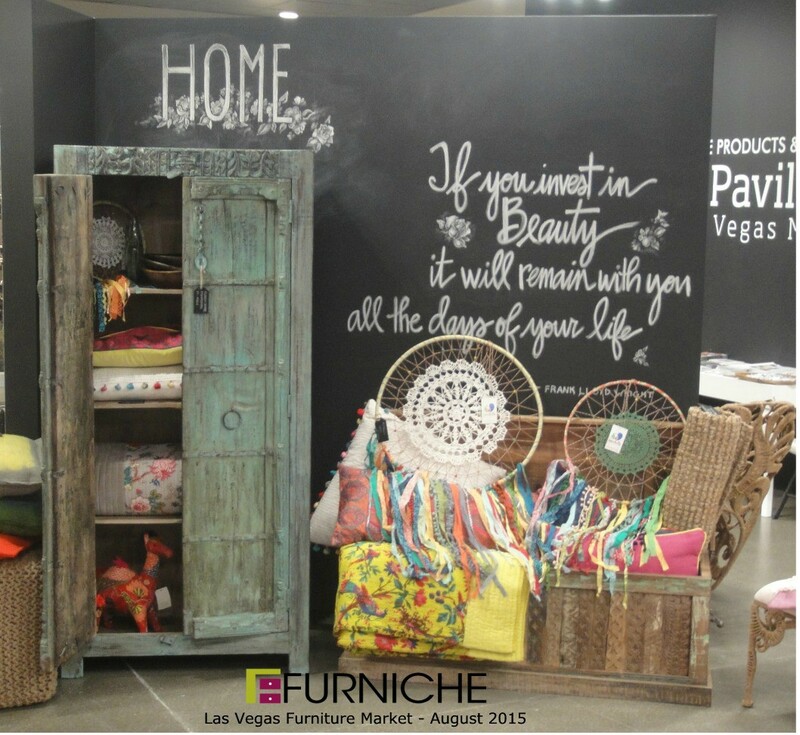 A most colorful bedroom setting with a mix of eclectic accent items. 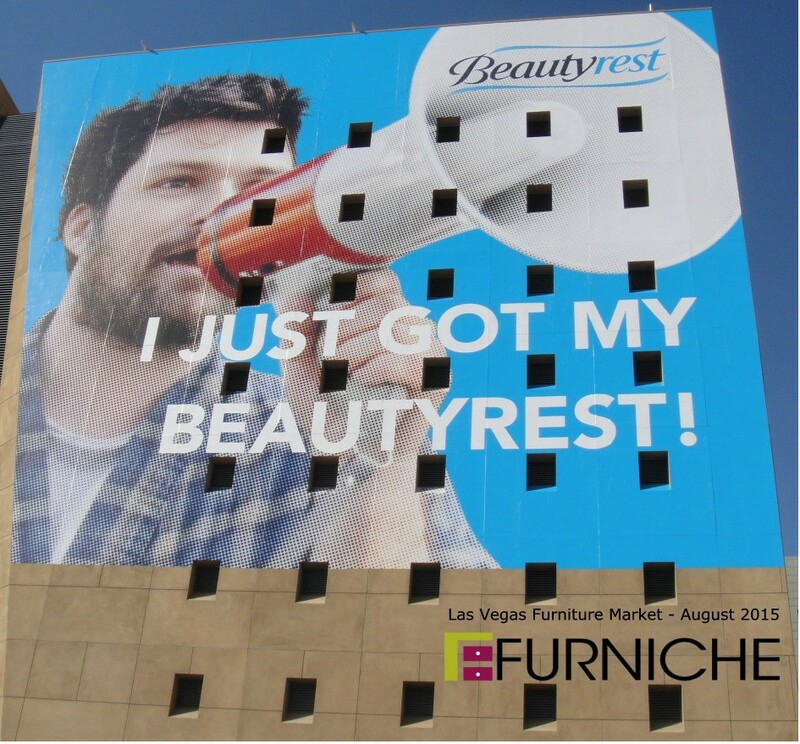 Did you have your beauty rest last night? Every bed should have a disco ball, right? 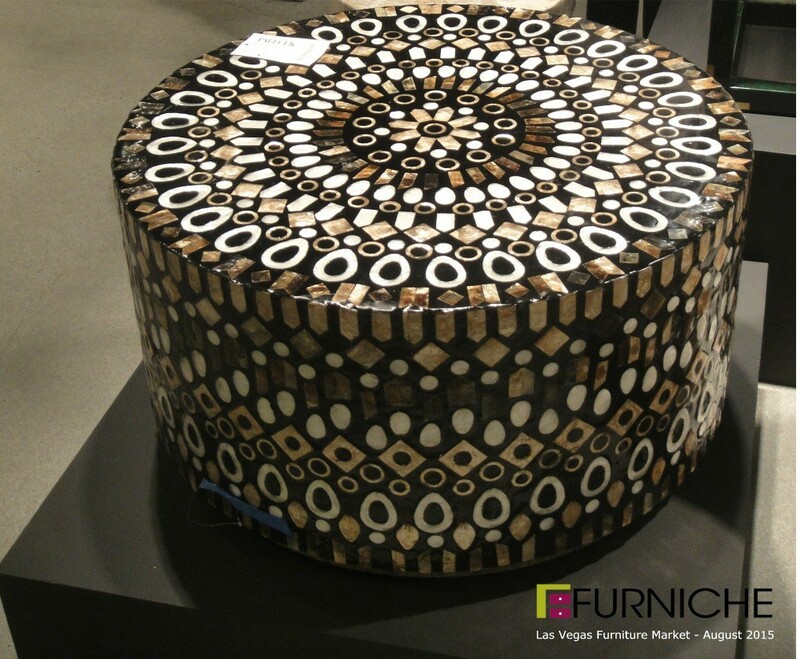 Beautiful pattern on this piece which can serve as a cocktail table by simply adding glass on the top. 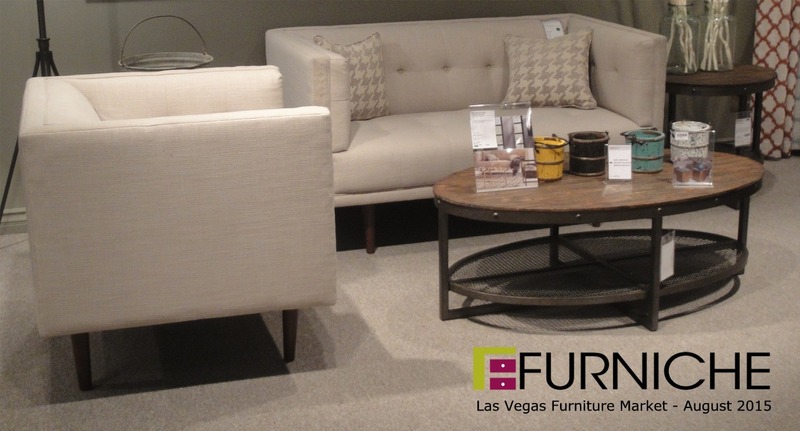 Talk about a conversation starter while relaxing with friends in your front room. This space had stunning hand carved pieces from Mexico. We could only say "wow". We did not go in this space but loved the wall! 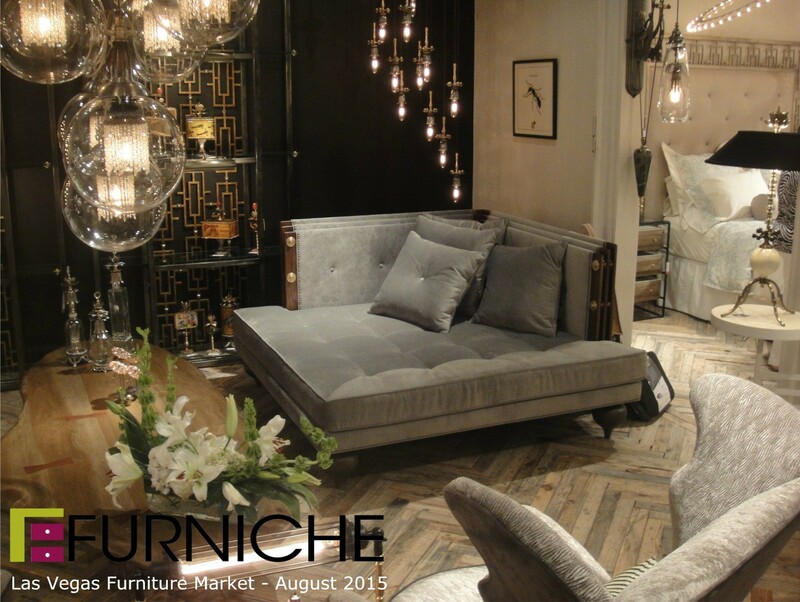 Lighting is the icing on the cake of any room decor. These jewells caught our eye. 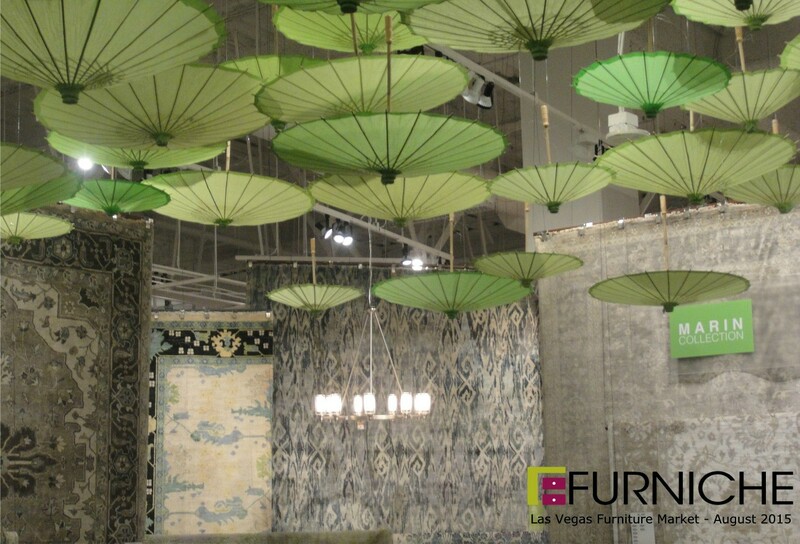 These hanging umbrellas made us stop and look at this area rug manufacturer. Interesting way to bring some color into a room. We thought this chair should be named "harry". Embrace color! 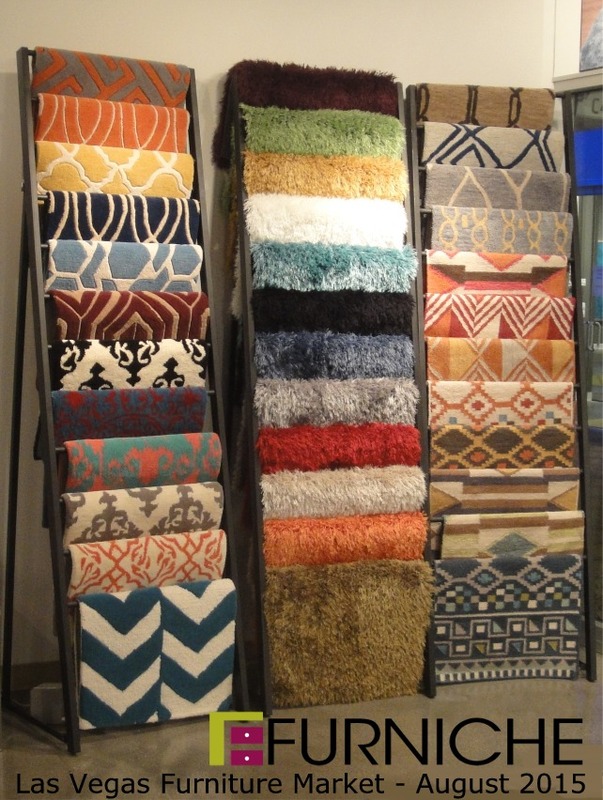 Some great colors on this rug rack to inspire you to step out of your comfort zone. 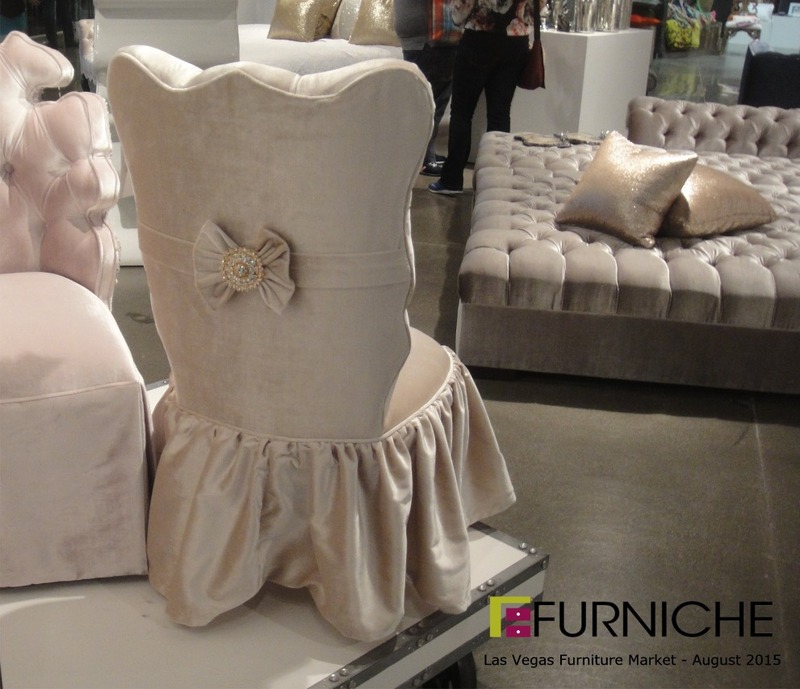 The bow on the back of this dining chair is simply cute. And another cute back on a dining chair. Follow the yellow brick road? 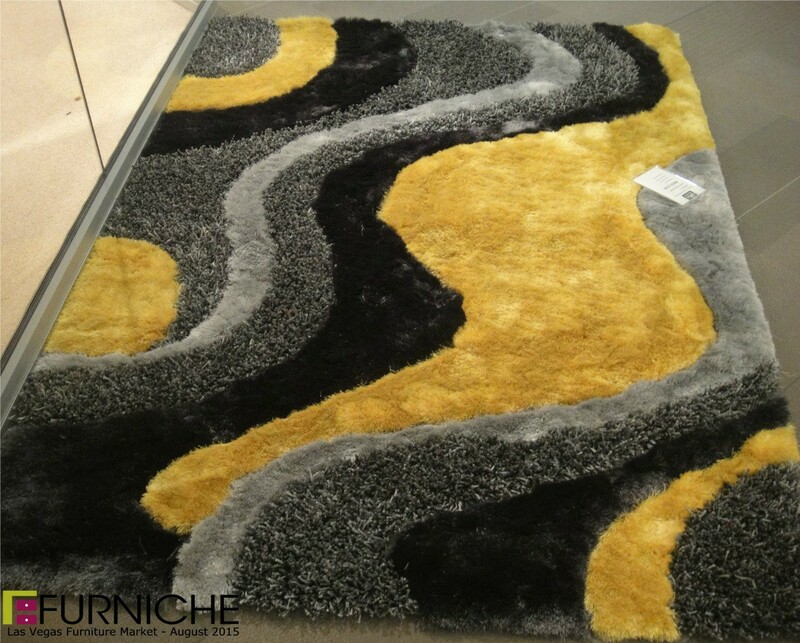 No need for a night light with this area rug. 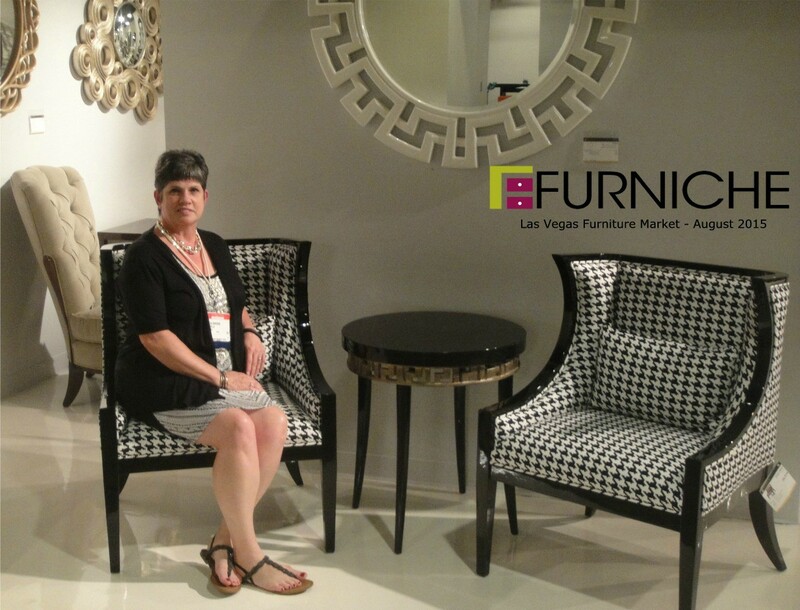 The lovely "Furnista" complementing these two eye catching chairs and table. There was another matching corner piece on the other side of the room that could be moved to make a nice conversation sectional. We thought this message was so true! Thanks Frank Loyd Wright. Short on space? 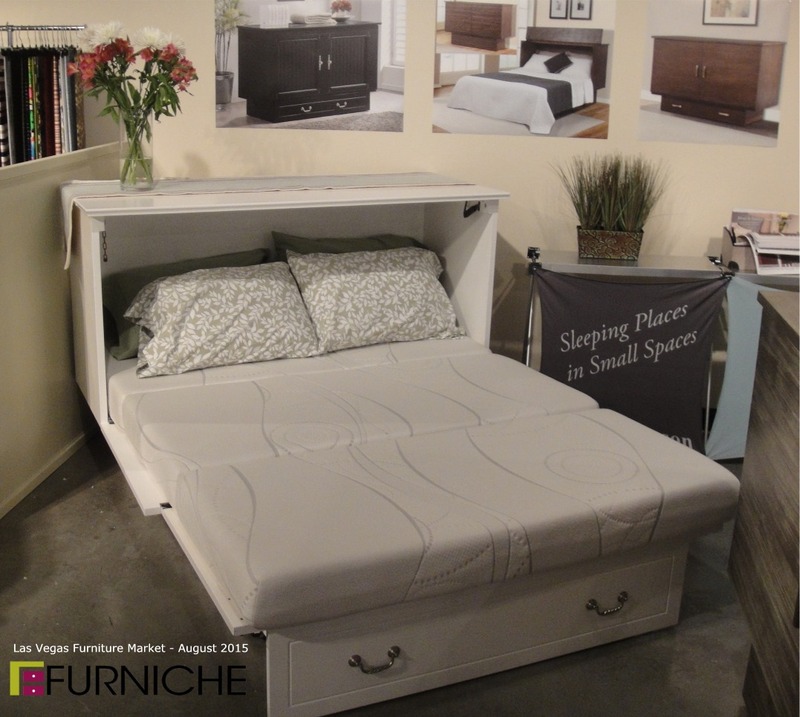 This is a great way to gain extra sleeping capacity for guests. 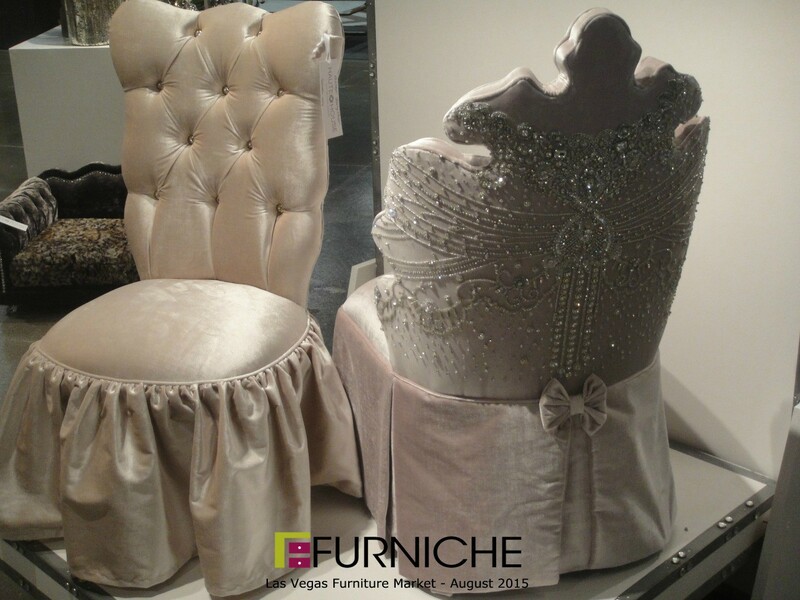 Note the padded headboard matches the accent chair? A nice way to tie a look together. Pillow power. 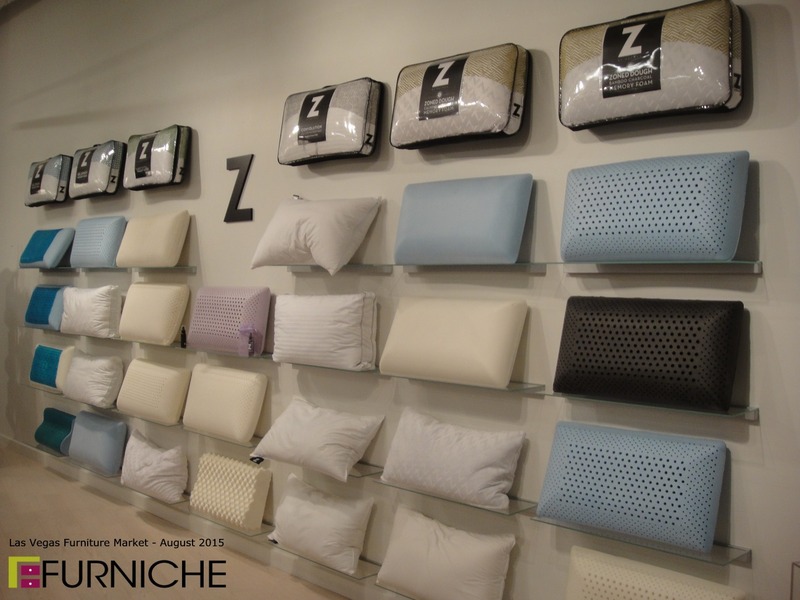 Malouf has a wide variety of different types of pillows. These include latex, memory foam, fiber and shredded memory foam. All of these pillow types feature gel cooling technology. 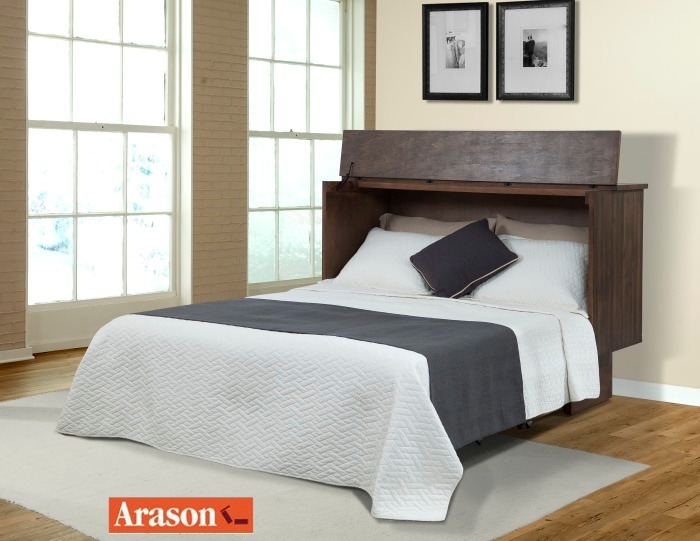 New bedroom collection from the Donny Osmond Home Collection launched by Coaster Furniture. 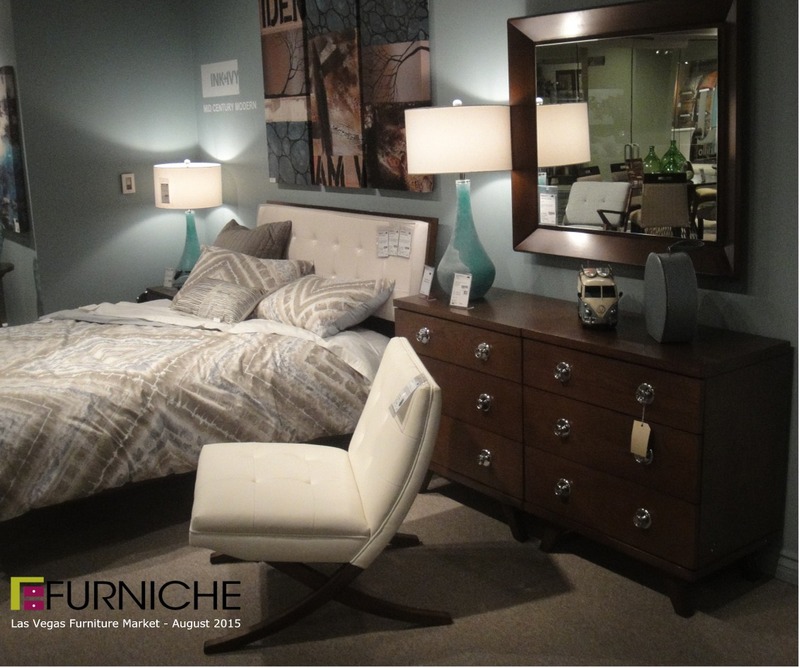 The handles on the nightstand are a nice contrast to the handles on the other pieces. It provides a nice eclectic feel to the group. Here are all of our Market Pics in a convenient album format.